Arnold Scaasi has been creating haute couture for the likes of Barbra Streisand, Elizabeth Taylor, Sophia Loren, Ivana Trump, and others for over fifty years. Women with means, those in the public eye, or ones on the world stage would often look to Scaasi to help them create their public images. Whether it be an elegant evening gown, a cocktail dress, or a tailored suit, Scaasi’s custom-made clothing were powerful statements for women with personalities large enough to match. 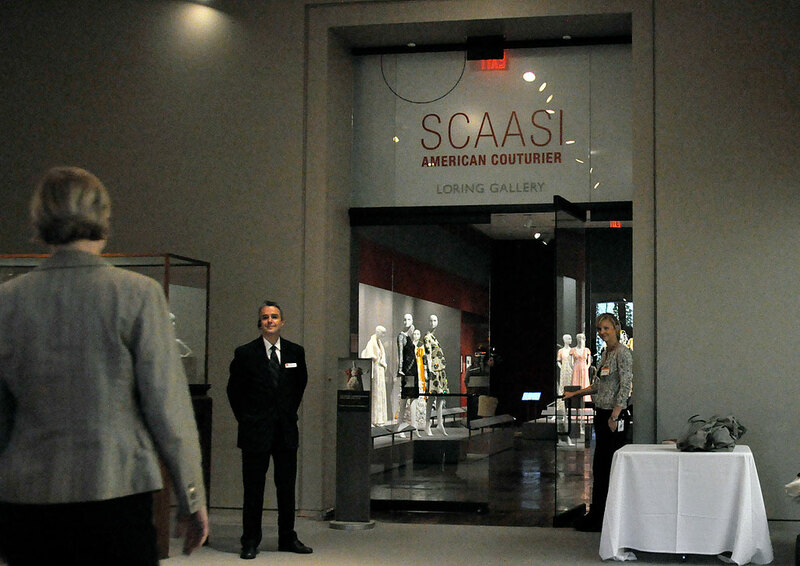 This latest exhibit, showcasing twenty-eight elegant outfits created for four of Scaasi’s famous clients, will run until June 19, 2011. 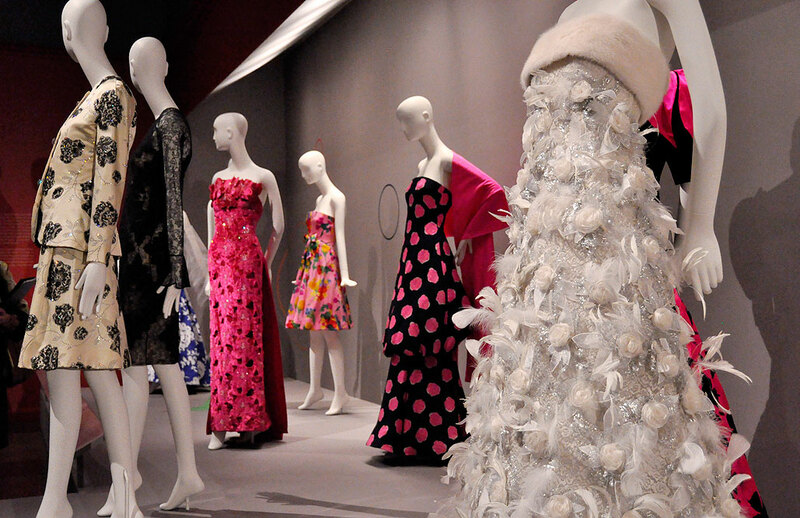 The exhibition not only explores Scaasi as a made-to-order couturier, but also gives some insights into the relationships he formed while creating looks for singer/actress Barbra Streisand, Broadway/TV star Arlene Francis, socialite Gayfryd Steinberg, and New Yorker Joetta Norban. Arnold Isaacs studied in Montreal and Paris before moving to NYC to work with renowned designer Charles James. Isaacs became “Scaasi” in the early 1950s, made a name for himself, and opened his couture salon in 1964. His elaborately constructed outfits are typically made of expensive fabrics. Intricate patterns, luxurious textures, and bright colors were achieved with extensive beadwork, fur, or embroidered coral, sequins, and metallic foil. “As one of the few American designers to specialize in custom-made clothing during the later part of the 20th century, Scaasi represents a true American couturier. 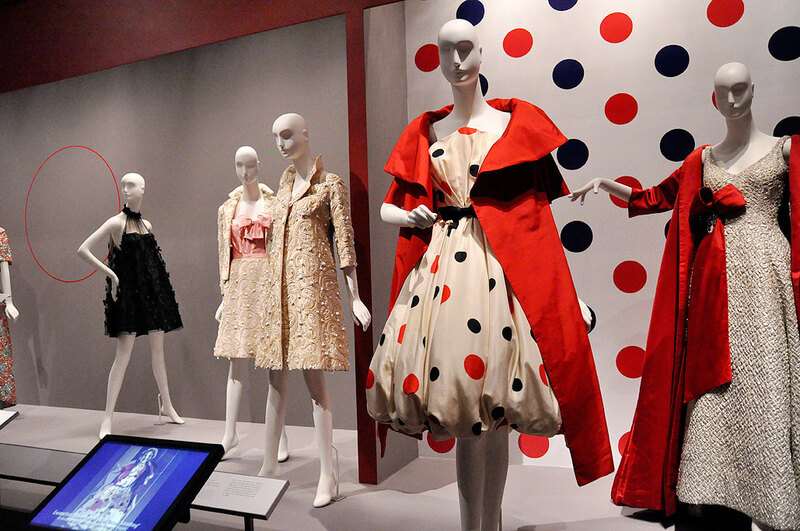 The addition of his clothing and archive has taken the MFA’s collection of 20th-century fashion to a new level, ” said Pamela Parmal, MFA’s David and Roberta Logie Curator of Textile and Fashion Arts. In conjunction with the Avedon and Scaasi exhibits and Boston Fashion Week (Sep 24-Oct 1), the MFA is presenting a variety of special fashion-focused events. There will be talks given by Matthew Weiner, creator of the hit TV show Mad Men, and Don Ed Hardy, the tattoo artist whose designs inspired a clothing line. Also planned is a fun evening of runway looks by Saks Fifth Avenue, cocktails, and music offered during MFA Fashion firstfriday. In addition, children will have the opportunity to participate in art-making and special programs designed just for them. For the most up-to-date info, check out the MFA calendar.